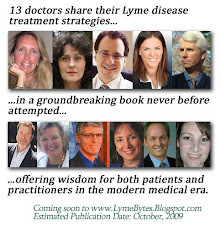 Lyme Bytes: It's Here! My New Book: "Beyond Lyme Disease: Healing the Underlying Causes of Chronic Illness in People with Borreliosis and Co-Infections"
It's Here! My New Book: "Beyond Lyme Disease: Healing the Underlying Causes of Chronic Illness in People with Borreliosis and Co-Infections"
It's here! 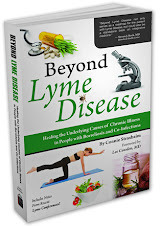 My latest book, "Beyond Lyme Disease: Healing the Underlying Causes of Chronic Illness in People with Borreliosis and Co-Infections" is now available for purchase. For more information, click here. 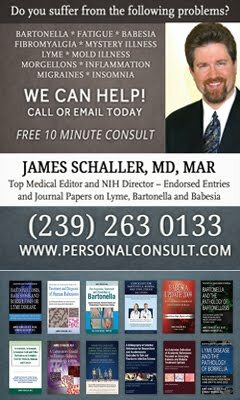 As I have mentioned in previous blog posts, I wrote this book because eight years of research and experience have taught me that it isn't just tick-borne infections that make people with Lyme disease sick, but also a plethora of environmental factors which are, like Borrelia, primary causes of illness, and not just a result of Lyme. While this book was written for people with Lyme disease, it is also relevant to anyone who suffers from chronic illness or symptoms that are caused by the aforementioned factors. May this book provide new solutions and hope in your healing journey, when antibiotic and other antimicrobial regimens have failed to provide a full recovery. I look forward to your feedback!